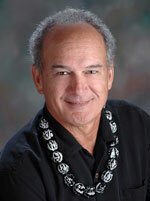 Dr. Maka’ala Yates, D.C., is a Kanaka Maoli (Hawaiian Ancestry) who specializes in Hawaiian medicine. He has been practicing and teaching Hawaiian healing concepts for over 25 years and is the co-founder of Indigenous Botanicals and Mana Lomi®. 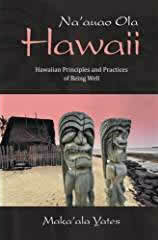 Maka`ala’s Book, Na’auao Ola Hawaii: Hawaiian Principles and Practices of Being Well is available on Amazon. Mana-Lomi ® uses Hawaiian indigenous healing concepts that work with the body, mind and spirit. It is a precise, therapeutic, clinically oriented, problem solving style of lomilomi which can be used to prevent and resolve injuries as well as to relieve stress and to help patients relax. It addresses all body systems, particularly the muscular-skeletal and connective tissue systems, the circulatory system, the nervous system and the respiratory and digestive systems. Dr. Maka’ala Yates and Carol Hart. 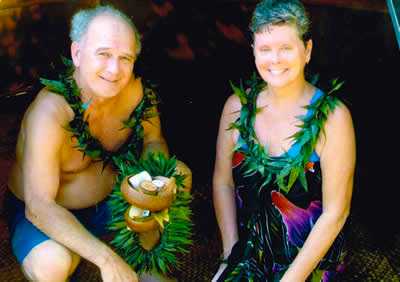 Lomi or lomilomi is more than just a Hawaiian massage. It describes a concept that involves the movement of energy or energy in motion. Mana Lomi® I is offered 2-3 times per year and is open to all who wish to learn, not just therapists. Private and semi-private workshops are available for an extra fee. It is the ability to communicate through the soft tissues of the body, physically and energetically, deep within the bones of the individual and thus the soul of the person. Mana Lomi® can be translated as the “Life force of Lomi”. Authentic Mana Lomi® is based on Hawaiian concepts of working with the body, mind and spirit. It is hands on healing that is deep and powerful, yet gentle, giving immediate and long-term results. This segment will include topics such as clinical procedures of Mana Lomi®, simple meditation, ho’oponopono (alignment of living), the history and timeline of Mana Lomi®, Hawaiian healing chants, and Hale Pulo’ulo’u (Hawaiian House of Purification) on the final day. Mana Lomi® I is offered 2-3 times per year, private and semi-private may be available for an extra fee. Mana Lomi® I suggested for all upper level Mana Lomi® techniques including Level 2 (Advanced Specific Conditions), Lomi’ili’ili, (Hawaiian hot stone therapy), and Level 3 (Joint Mobilization, taught exclusively by Kumu Maka’ala Yates, D.C). This 27 hour workshop is offered twice per year and provides 27 CEU’s with the National Certification Board for Therapeutic Massage and Bodywork (NCBTMB), please call or email for more information. In this 3-day format you will learn advanced Mana Lomi® techniques including hot towel therapy, specific protocols for the entire body, and Hawaiian spiritual philosophies. Topics briefly covered are the relationship of the golgi tendon organ (GTO), muscle spindle fibers, and pain receptors, compression /traction techniques and its effectiveness, palpation skills emphasized for sensitivity, emphasis on problem solving skills, Hawaiian chants, body positioning for better effectiveness, overlapping upper body and lower body sequences, SI joint protocol and more! Lomi‘ili’ili, which literally means “flat stones in motion,” have been used in Hawaii for hundreds of years to treat the many levels of healing necessary to help restore balance in the mind-body-soul. Traditionally, stones were used as an extension of the hands to help the practitioner to better access hard to reach physical restrictions. This intensive training invites you to experience the traditional and ancient Hawaiian art form of hot stone therapy that is specific to the individual’s needs. Each student will learn how to collect stones using proper protocols, how to heat the stones and control the temperature, and how to clean the stones. Upon completion, all students are qualified for 27 units of continuing education under Category A with the National Certification Board for Therapeutic Massage & Bodywork (NCBTMB). Mana Lomi ® principles and practices include community outreach. 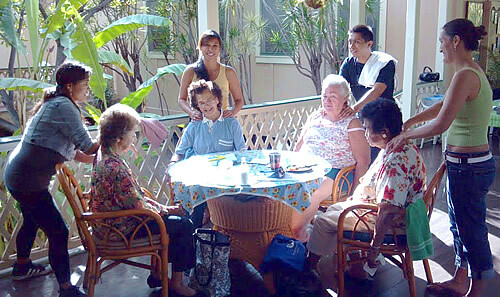 Carol Hart has been practicing outreach with the Alu Like Kupuna in Waimea since 2001, and has organized thirty lomi therapists in massaging the Kupuna during their annual conference on Kaua’i in 2008. 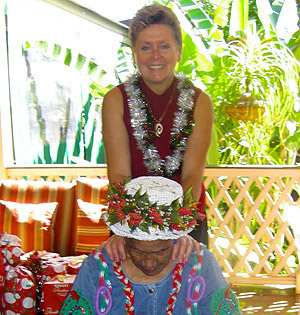 In 2007, Carol organized six therapists and one support person in massaging the patients and kokua in Kalaupapa on Moloka’i. Every year, Mana Lomi® instructors and therapists gather to kokua (take care of, serve) na kupuna (respected elders) in our communities.